Grab your secateurs and join country craftsman Martin Keeley to learn all about willow and create something beautiful to take home. In the morning you’ll learn the basics of weaving and make a simple fish, then after lunch in the Tea Room you can progress onto a very realistic pheasant. 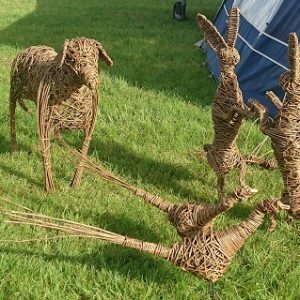 If you enjoy this course why not enquire about coming back to make something a little more advanced like a Fox or a Boxing Hare?